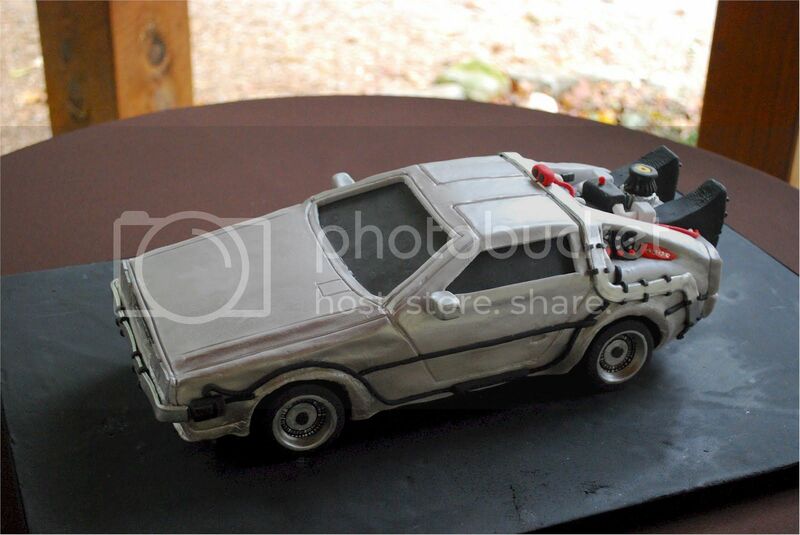 Chad W. of Tunnel Hill, Georgia’s Cup a Dee Cakes contacted me with the details of this Back to the Future DeLorean cake he and his wife made for their friends’ wedding. …for our friends Greg and Kristin’s wedding. 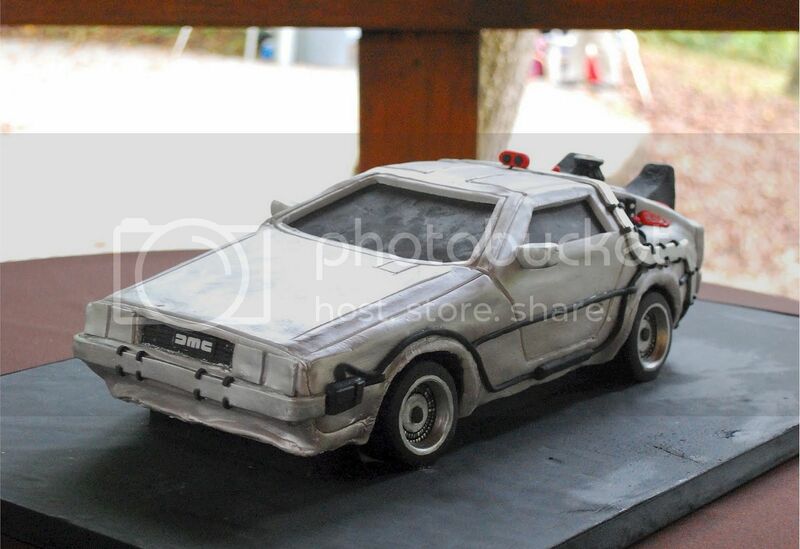 We used […] technical schematics and a die cast model to carve the cake into scale. The cake was then covered in various places with either modeling chocolate, fondant, or both. This was our first car cake, and it took us about 24 hours total to make it, but we had a great time and Greg and Kristin loved it! 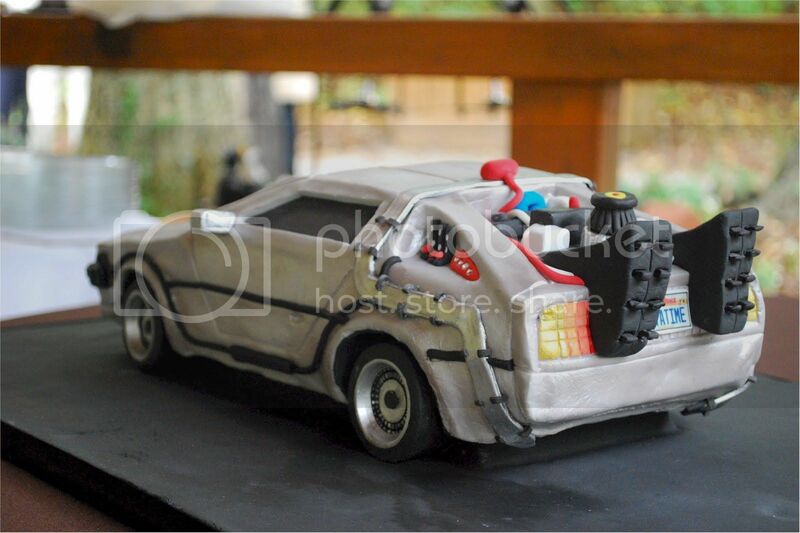 If only it could drive around in Back to the Future town square cake. Stupid scale issues. * Chad’s right, I really am incredibly gracious.